— Trends.Google.com will let you know what’s hot and what’s not, looking at some worldwide trends. For instance, jobs at McDonald’s are increasing fastest in Australia and New Zealand. (Do a search on “Mcdonalds jobs” without the possessive apostrophe). A search on “unemployment” shows a steady rise in the U.S. Basically, they track key-word frequency in news stories. — Buzzillions.com offers four million consumer reviews in 3000 categories. A 2008 study by the e-tailing group, PowerReviews, found that nearly nine out of ten online buyers read customer reviews at least some of the time. And according to Forrester Research, 60 percent of customers say they trust the reviews that appear on a retailer’s website. — Logoease.com and Logomaker.com offer to make free logos for your websites. You choose an icon and text from a menu and build it online with a couple of clicks. Logomaker then gives you the code that lets you embed it on a website. Logoease gives you the graphic in ten different formats, including “encapsulated PostScript” (EPS), which is what commercial printers need for their presses. 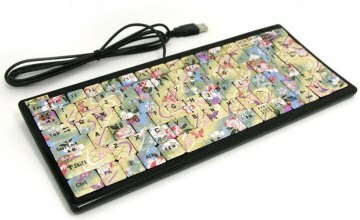 GeekStuff4U.com – Unusual stuff, like handmade Japanese keyboards made with traditional “washi” paper, and USB hubs in the shape of Star Wars characters. May the force be with you.